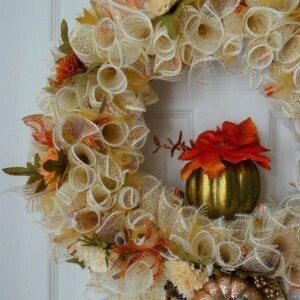 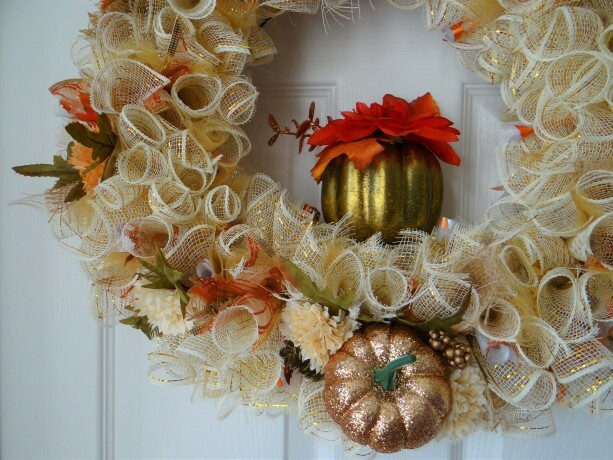 Looking for the perfect wreath to welcome this Fall season? 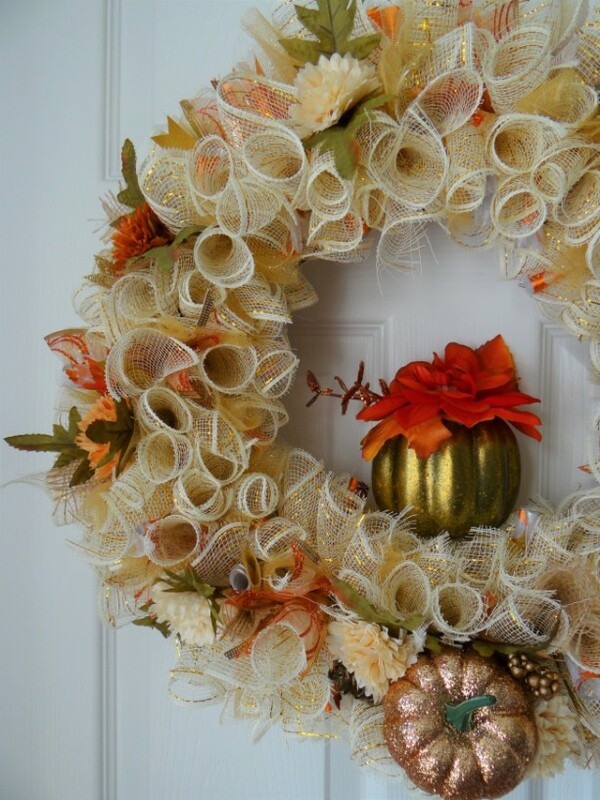 This wreath is a beautiful compliment to any door. 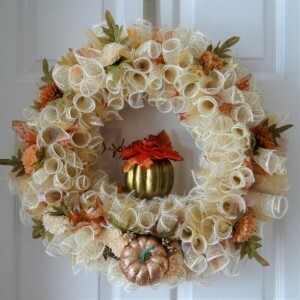 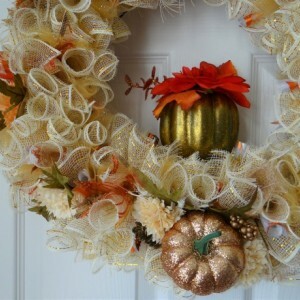 Impress your guest with your Fall decor with this gold mesh wreath, made with Fall colors, ribbon and flowers.